Culture is helping Hangzhou, the provincial capital of East China's Zhejiang province, improve its residents' lives. In 2014, Hangzhou's public library system joined a model scheme to reach out to people. For almost a decade, Hangzhou Library has been allowing ragpickers and wanderers to stop by with their belongings, read in the air-conditioned rooms, charge their mobile phones and get drinking water. 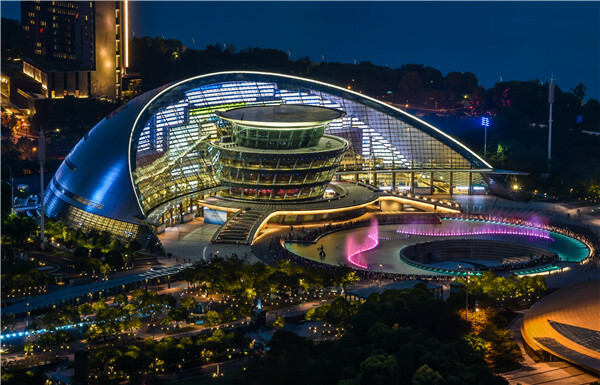 Hangzhou Grand Theater, another example of using culture to improve quality of life, has had thousands of shows from around the globe going on stage, including the Broadway classic The Sound of Music and Yo-Yo Ma's Silk Road Project. And among the around 200 performances the theater hosts annually, half are public service performances that are dedicated to cultivating arts appreciation among ordinary people. Now, with a series of modern facilities, the residents of Hangzhou have libraries, museums, youth or senior citizen centers within walking distance from home. Next to the Gongchen Bridge on the Grand Canal, a UNESCO World Heritage Site, is the Qiaoxi block, where the largest number of museums in Hangzhou is located. The block has museums for craft arts such as umbrellas, fans, knives, scissors and swords. The museums were built on the sites of old factories to meet the need for space, says Yan Jianqiang, the director of the cultural heritage and museology department of Zhejiang University. This is just one of the many examples of striking a balance between preserving the old town and building the new city. Also, by developing the block, the waterscape, local opera sites, traditional markets and temple fairs are being preserved. Such protection measures have also helped the restoration of more than 100 natural and cultural features around the West Lake. Hangzhou's many cultural events have led to increased citizen participation, too. Festivals inspired by the culture of the Southern Song Dynasty (1127-1279) and the Qiantang River have integrated traditional activities including tea competitions, arts exhibitions and poetry recitation. Between 2007 and 2017, Hangzhou has seen growth in value addition in the cultural and creative sectors, from 43.28 billion yuan (.87 billion) to 304.1 billion yuan. And the contribution of these sectors to the city's GDP has grown from 10.5 percent to 24.2 percent. 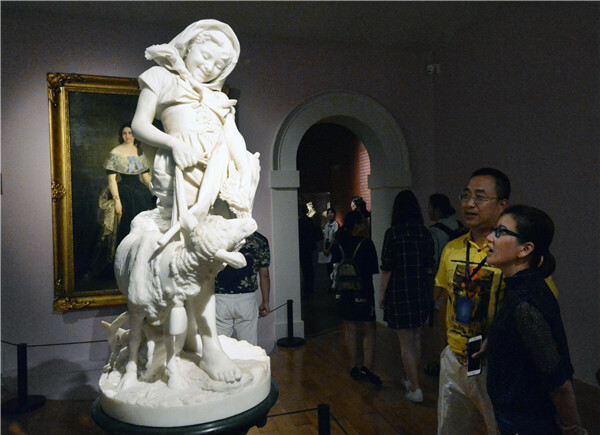 One of the highlights of the cultural sector is the emerging digital content industry, which contributed 187 billion yuan in 2017 to the total output from the cultural and creative sectors, an increase of 28.5 percent year-on-year, accounting for 14.9 percent of the city's GDP. Separately, the Hangzhou Contemporary Theatre Festival has brought in 59 popular plays from around the world in the past six years, including ones from the Avignon Festival of France, the Edinburgh Festival from the United Kingdom, the Holland Festival and Japan's BeSeTo Theatre Festival. Hangzhou's cultural events have also made their way to the countryside. Du Chuanfu, in his 70s, uses Xiao Re Hun, a folk rap that mixes speech and song, to tell stories every Wednesday in the community he lives in. Xiao Re Hun is one among 44 items on the national intangible cultural heritage list from Zhejiang province. There are another 167 items on the provincial intangible cultural heritage list. Besides there are three items from the province on the UNESCO world intangible cultural heritage list. Among the other activities in the province are Spring Festival activities which have been going on for the past decade. This is when art troupes from Hangzhou give performances at rural venues, based on local requests. As a result, these galas of singing, dancing, local operas and short comic dramas have become a custom in these areas.